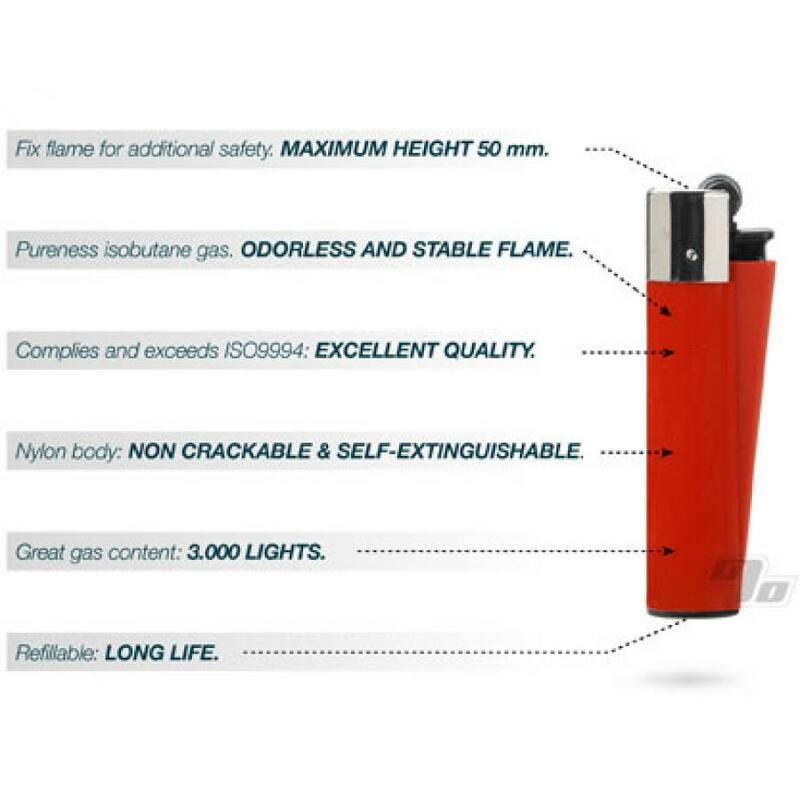 If you go through alot of Clipper Lighters it may be time to step up and buy a whole tray of 48 Clipper Lighters. 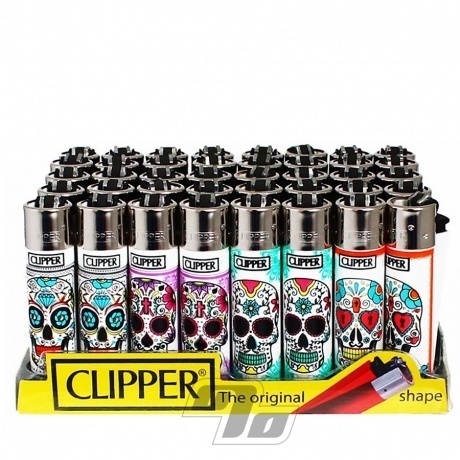 Keep it unique with the colorful Mexican Skulls lighter design. 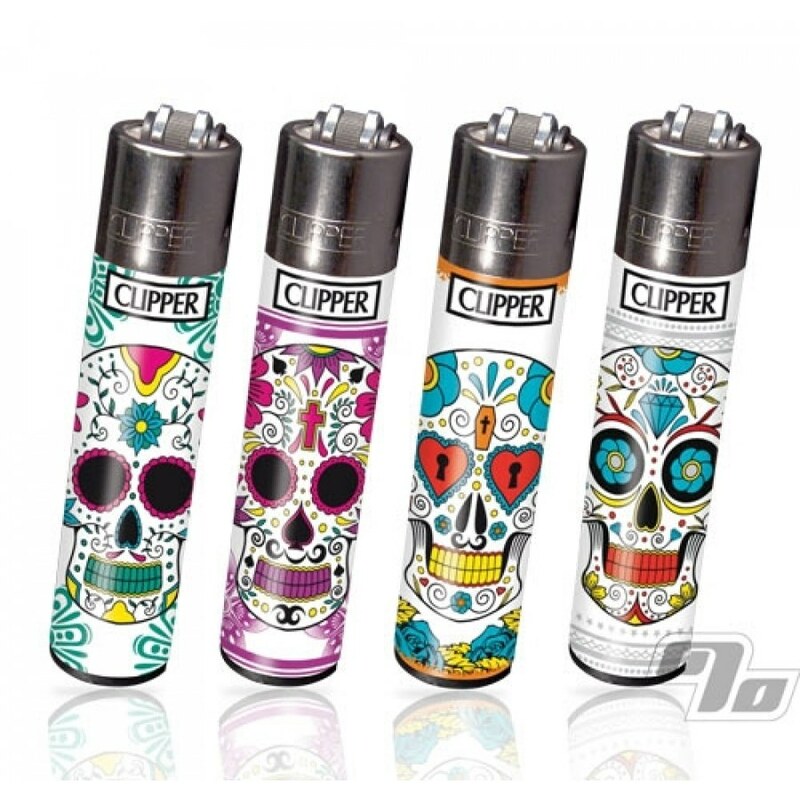 The Mexican Skulls designs are some of the best selling Clippers. 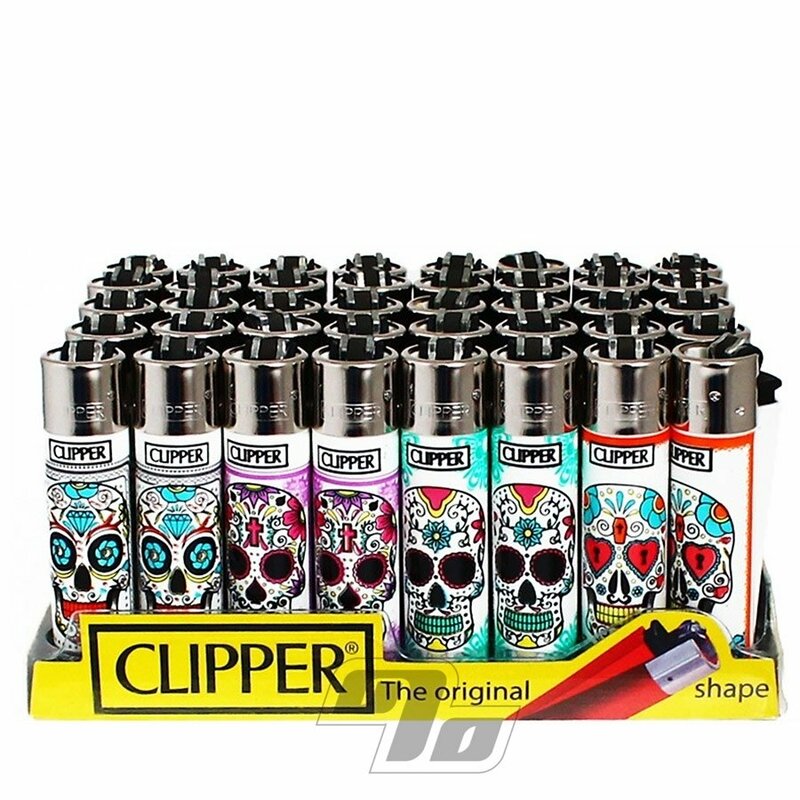 Keep it simple with a full tray of 48 with Dia de Muerto appropriate designs.